Software engineers at Google have been analyzing the &apos;dreams&apos; of their computers. And it turns out that androids do dream of electric sheep... and also pig-snails, camel-birds and dog-fish. This conclusion has been made after testing the ability of Google&apos;s servers to recognize and create images of commonplace objects – for example, bananas and measuring cups. The result of this experiment is some tessellating Escher-esque artwork with Dali-like quirks. 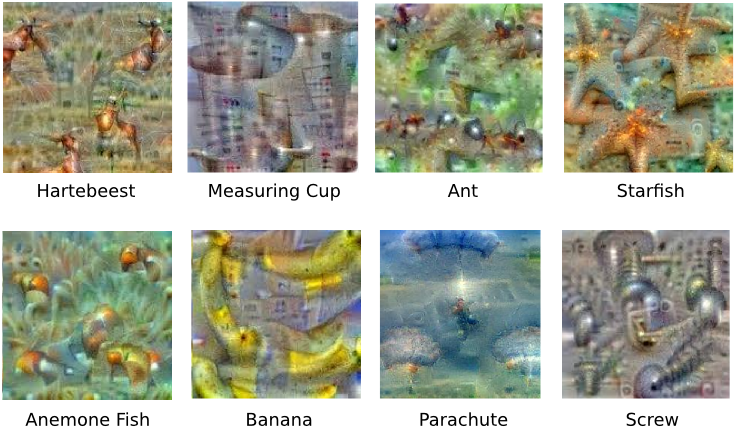 Google&apos;s artificial neural network creates its own images from keywords. Michael Tyka/Google. So, what&apos;s the point in creating these bizarre images? Is it purely to find out our future robot overlord&apos;s artistic potential, or is there a more scientific reason? As it turns out, it is for science: Google wants to know how effectively computers are learning. The Google artificial neural network is like a computer brain, inspired by the central nervous system of animals. When the engineers feed the network an image, the first layer of &apos;neurons&apos; have a look at it. This layer then &apos;talks&apos; to the next layer, which then has a go at processing the image. This process is repeated 10 to 30 times, with each layer identifying key features and isolating them until it has figured out what the image is. The neural network then tells us what it has valiantly identified the object to be, sometimes with little success. This is the process behind image-recognition. The Google team then realized that they could reverse the process. 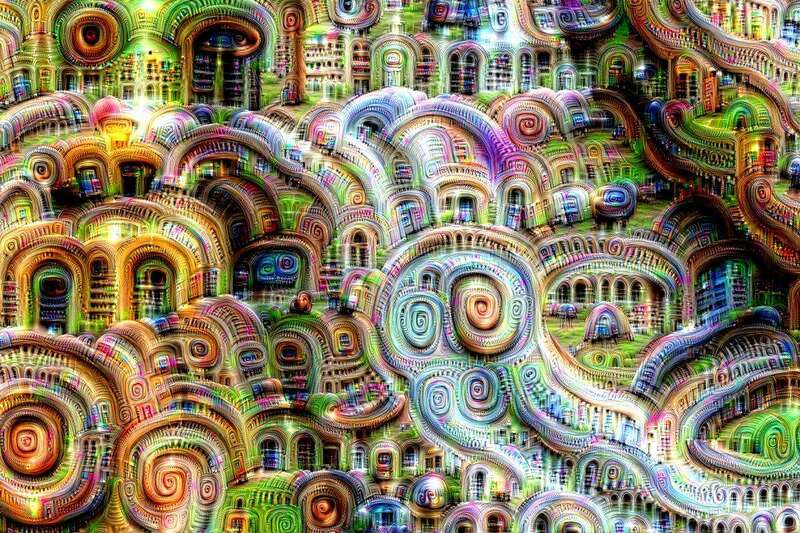 They gave the artificial neural network an object and asked it to create an image of that object. The computer then tries to associate it with specific features. When we want a picture of a fork, the computer should figure out that the defining features of a fork are two to four tines and a handle. But things like size, color and orientation aren&apos;t as important. The images in the picture above were created in order to ascertain whether the computer has understood this sort of distinction. Google&apos;s artificial neural network&apos;s interpretation of a dumbbell. Michael Tyka/Google. You may have noticed that no computer-generated dumbbell is complete without a muscular weightlifting arm. While the computer is clearly incorrect in thinking that dumbbells are sold complete with a human arm, it can be forgiven for thinking that this is the case. If you type "dumbbell" into Google, images of these objects are intermingled with pictures of weightlifters holding them. Therefore, to the computer, one of the defining features of a dumbbell is the arm that lifts it. The computers have the ability to see images in objects in a way that artists can only dream of replicating. It sees buildings within clouds, temples in trees and birds in leaves. 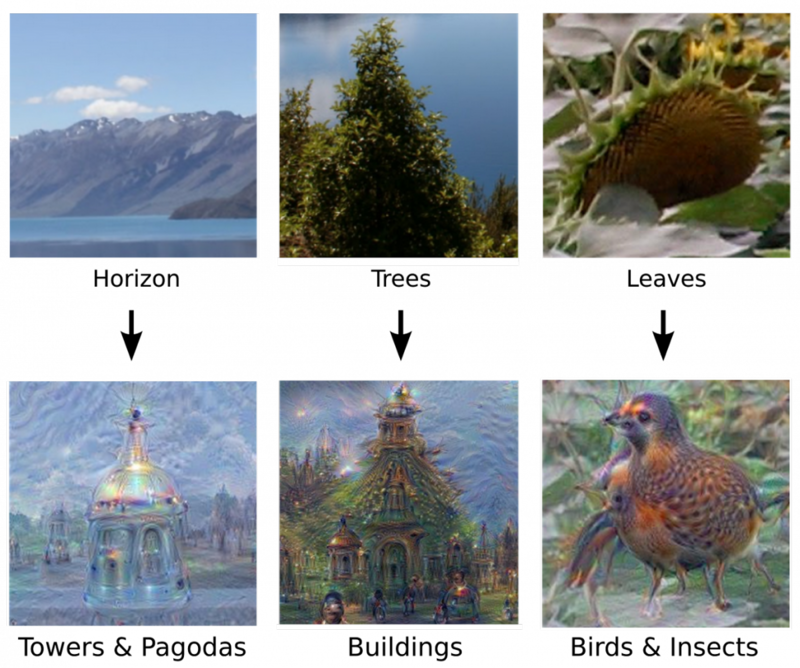 Google&apos;s artificial neural network finds images of birds and buildings within landscapes. Michael Tyka/Google. Highly detailed elements seem to pop up out of nowhere. This processed image of a cloudy sky proves that Google&apos;s artificial neural network is the champion of finding pictures in a cloudy sky. Google&apos;s artificial neural network&apos;s attempt at finding images in a cloudy sky. Michael Tyka/Google. A close-up of some of the stranger creatures that the network found in the sky. Michael Tyka/Google. This technique, which creates images where there aren&apos;t any, is aptly called &apos;inceptionism.&apos; There is an inceptionism gallery where you can explore the computer&apos;s artwork. Finally, the designers gave the computer full, free reign over its artwork. The final pieces were beautiful pictures derived from a mechanical mind – what the engineers are calling &apos;dreams.&apos; The &apos;blank canvas&apos; was simply an image of white noise. 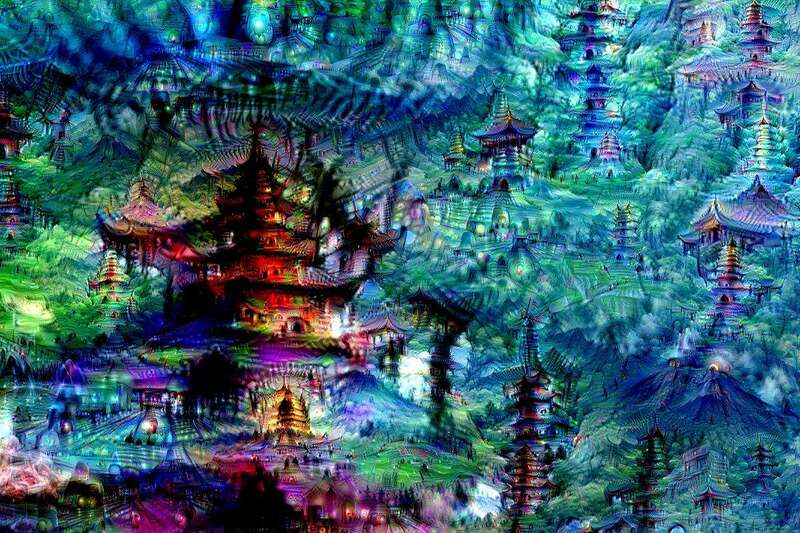 The computer pulled out patterns from the noise and created dreamscapes: pictures that could only come from an infinite imagination. Pulling patterns out of white noise. Michael Tyka/Google.